I was sick last week and didn’t get to update as often as I wanted to! I realized that I have been missing posting daily, but I have been updating my bibliography. 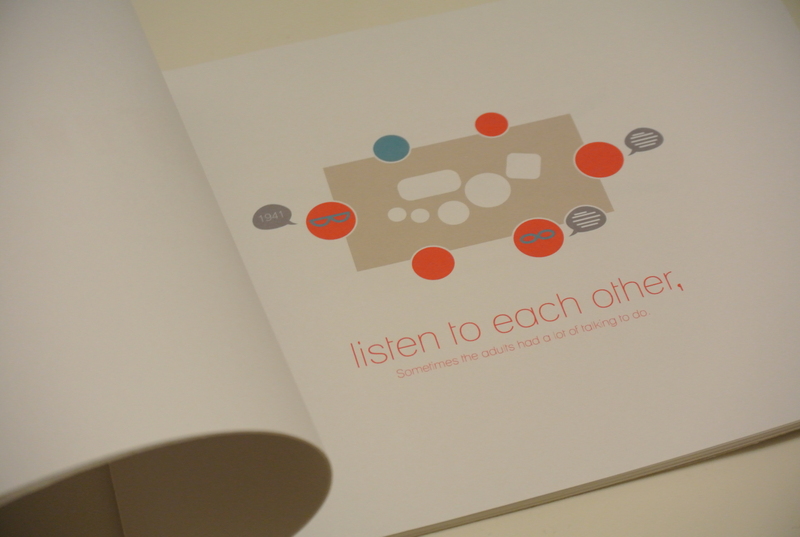 For this prototype I created a book to tell the story of my family experiences around the dinner table. The things I remember and meaningful conversations are depicted in the narrative of this story. I have been in a little of a rut recently, trying to figure out where my thesis is going. While some people are on a clear defined bath, I think I have some defined areas of interest and I am not sure how al these pieces are going to come together. It troubles me to think that this far into thesis, I am unsure of what exactly my thesis will be. I am also struggling because of my personal connection to my work so far. I wanted to be able to expand my ideas through my thesis to other people, other cultures, other groups, but I haven’t been able to clearly define how I will be able to bridge that gap. Today, in our critique Katherine made a good point and said if what I really want to do is about myself, I need to stop fighting it and either accept it, or move on because if I don’t decide soon, I will end up running myself in circles. This is exactly how I feel. I think it is the balance of staying true to what I am passionate about but also being able to challenge myself along the way. I have to think a little more about this though and what exactly I am after. Part of me feels like I am trying to come up with an understanding of why I am the person I am today. In doing this prototype I was able to make something that I see as a description to my past. A description to why I have these values that a lot of other people don’t necessarily tie themselves to. To see the whole story, click here. My presentation from class today can also be viewed at this link and here is a link to my brief for my second prototype.